Copyright Notice: © 2018 Lyons Partnership, L.P. All rights reserved. These are the official Barney licensed characters, Barney. The titular character in Barney & Friends, Barney is arguably one of the most recognisable children’s characters around today. 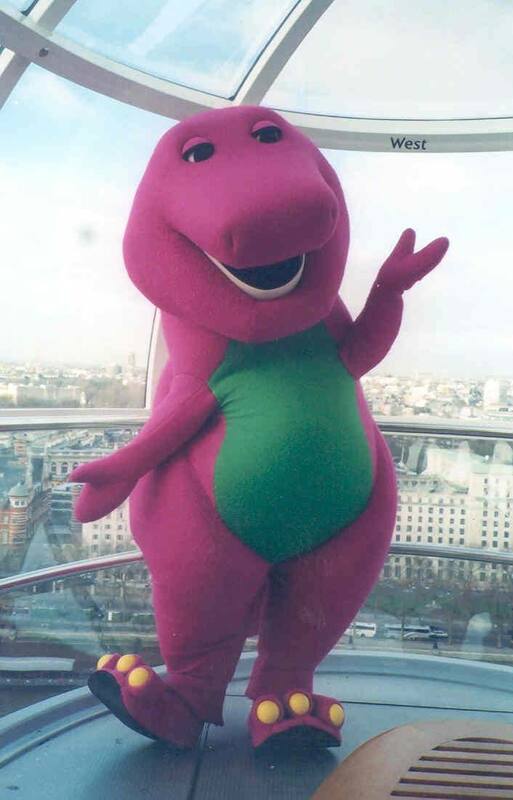 Since his first appearance in 1992, Barney has become a staple of kids TV, and children and adults will instantly recognise the iconic purple Barney the Dinosaur costume. This makes this character a particularly great choice at entry points to greet visitors and attract passersby, as well as to raise the profile of specific events or attractions. 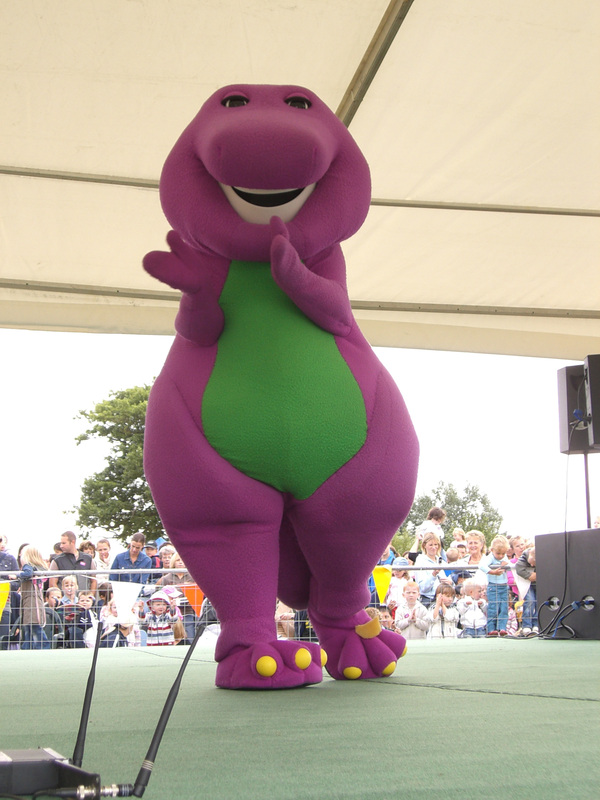 Barney’s broad range of appeal means the character is suitable for appearances at family-friendly events, as the source material is aimed at children aged two through to eight. If you have any queries over how best to make the most of your professional in costume hire, one of our experts will be more than happy to make suggestions. At Rainbow Productions, we hold the UK’s official licence to manage appearances of people in Barney costumes at events, so you can always be sure anyone you hire through us will demonstrate the utmost professionalism and that the Barney the Dinosaur mascot costume will be on brand. Our staff have been trained to meet-and-greet in character, thrilling children as they get to spend time with their favourite purple hero. To ensure everything goes smoothly on the day (or days), as part of our Barney costume hire, we will send a Road Manager to “mind” the character on the day and assist our trained performer with logistics as well as interactions with the crowd. 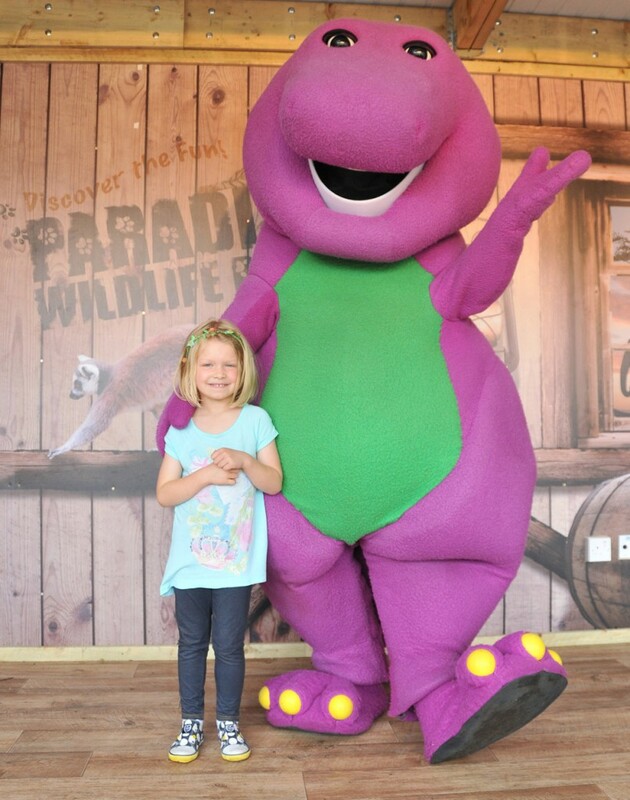 Our actors will wear the copyrighted Barney the Purple Dinosaur costume with pride, interacting with children and adults alike in a family-friendly manner. We are here to help make your event as successful as possible, which is why we have professional Road Managers who can assist with important logistics. For example, we’ll make sure the location and venue has a secure changing room, and we can arrange specific appearance times as well. We can also provide you with guidelines as to how to use copyrighted imagery on your promotional materials to drum up interest in your event. We can liaise with yourself and the venue to arrange things like car parking and additional security if necessary, and of course you’ll have the Road Manager as the point of contact on the day. To find out more about our official Barney costume rental, contact us today. Barney is a 200 million-year-old friendly, huggable, lovable Tyrannosaurus Rex whose favourite colour is purple. Barney springs from kids’ imaginations and he invites children to grow as they explore exciting places. Sharing, caring, imagining, dancing and learning are the essence of Barney as he lends a helping hand for growing children. He’s a staple in pre-schoolers’ lives and has encouraged positive values and good manners for growing children. Millions of Barney books and DVDs have been sold globally to date. Mascot costume Barney is available to attend UK events.